Do you offer Seal Experiences? What's included in a Seal Trainer for a Day? When does Seal Trainer for a Day run? What time do I need to arrive for my Seal Trainer for a Day? What is the Seal Swim Experience? What's included in Seal Swim Experience? How much does Seal Swim Experience cost? When does Seal Swim Experience run? How long does my Seal Swim Experience last? What time do I need to arrive for my Seal Swim Experience? Do you offer a spectator ticket for the Seal Swim Experience? Can I purchase a gift voucher for a Seal Swim experience? Are there any restrictions to complete the Seal Swim experience? Do I need to bring anything for the Seal Swim experience? 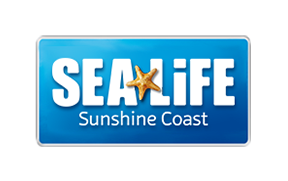 I'm a SEA LIFE Sunshine Coast or Merlin Annual Pass holder - Do I receive a discount on a Seal Swim Experience? How do I make a booking for Seal Swim Experience? I cannot make my Seal Swim Experience - Can I change my date/time? What is the Seal Photo Experience? When does Seal Encounter run? What time do I need to arrive for my Seal Encounter? What's included in a Seal Encounter? How long does my Seal Encounter last? Are there any restrictions to complete the Seal Encounter? How much does the Seal Encounter cost? What's the maximum number of individuals who can complete the Seal Encounter experience? Do you offer a spectator ticket for the Seal Encounter? Can I purchase a gift voucher for the Seal Encounter experience? Do I need to bring anything for the Seal Encounter experience? I'm a SEA LIFE Sunshine Coast or Merlin Annual Pass holder - Do I receive a discount on a Seal Encounter Experience? I cannot make my Seal Encounter - Can I change my date/time?